25% off !! For a limited time !! 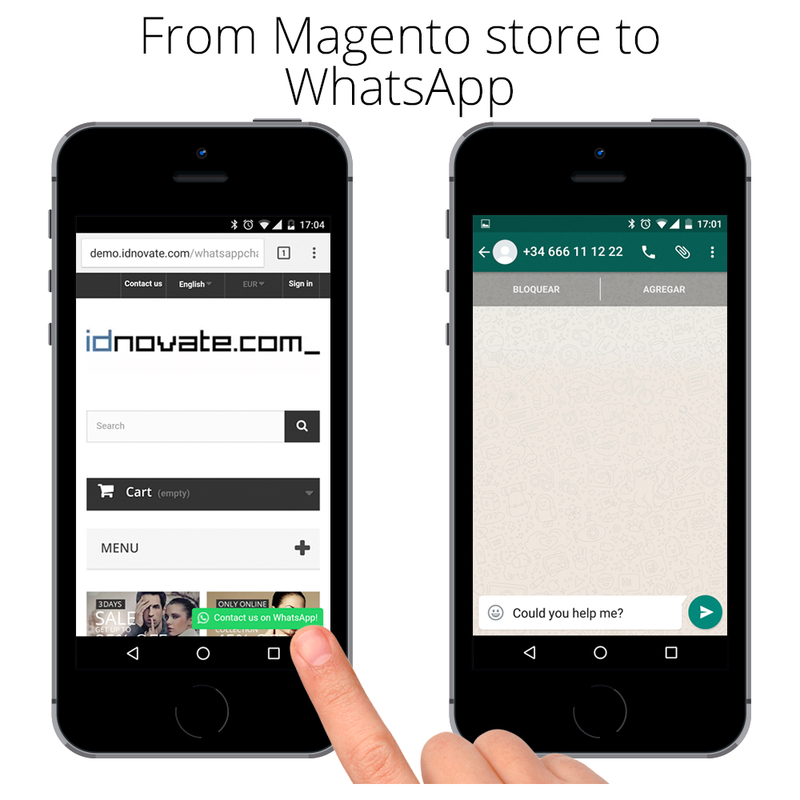 Now your customers can chat with you at WhatsApp, directly from your store to the mobile!! No need to add your mobile phone number to the mobile address book. 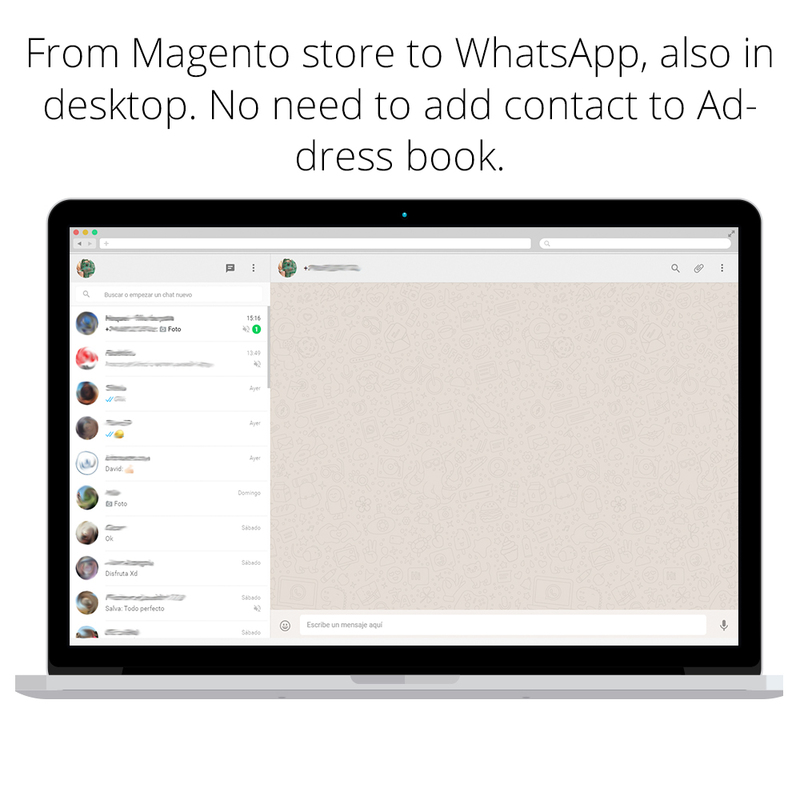 This extension allows you to create a WhatsApp chat button, highly configurable, to show it in different parts of your site to chat with your customers through WhatsApp, the most popular messaging app. 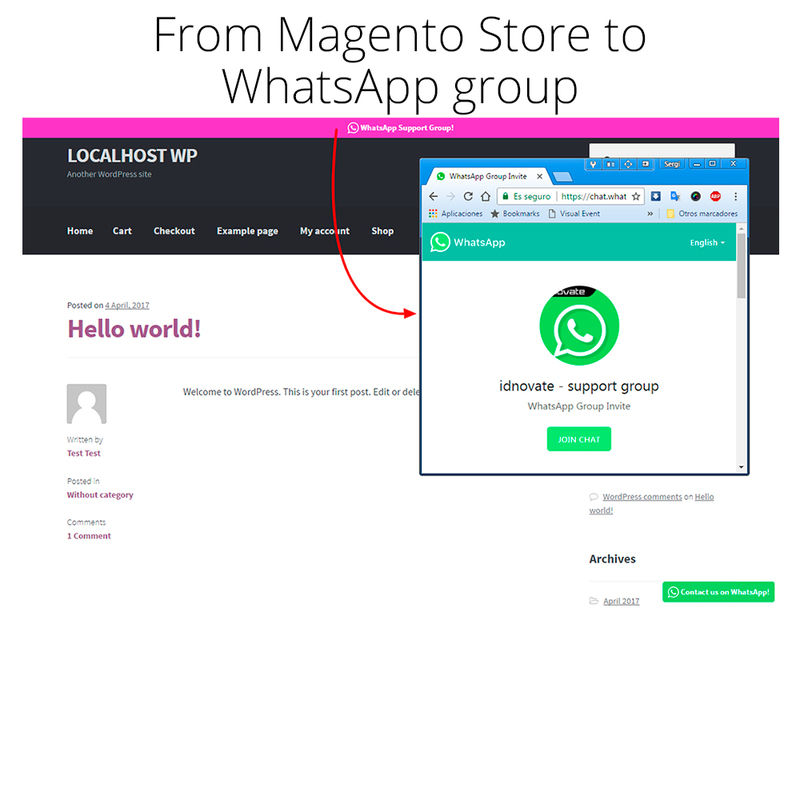 For Magento: Chat with your customers through WhatsApp, the most popular messaging app. Vital extension for your store, which allows you to create stronger relationships with your customers by guiding and advising them in their purchases in real time. 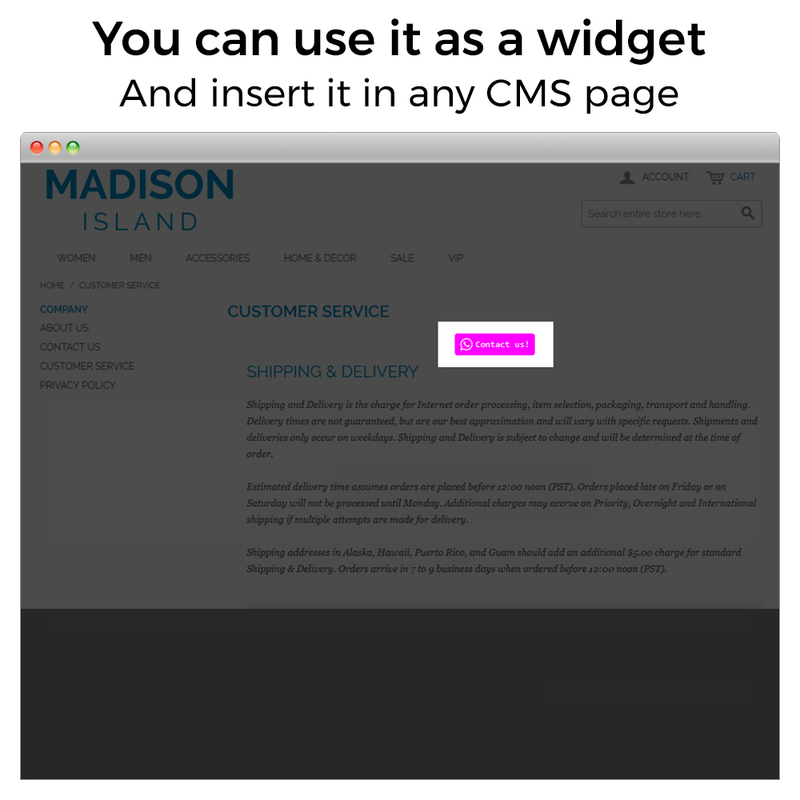 You can display the block in multiple positions and places: in homepage, category page, product page, cart, checkout, customer account, in a CMS page, etc.! 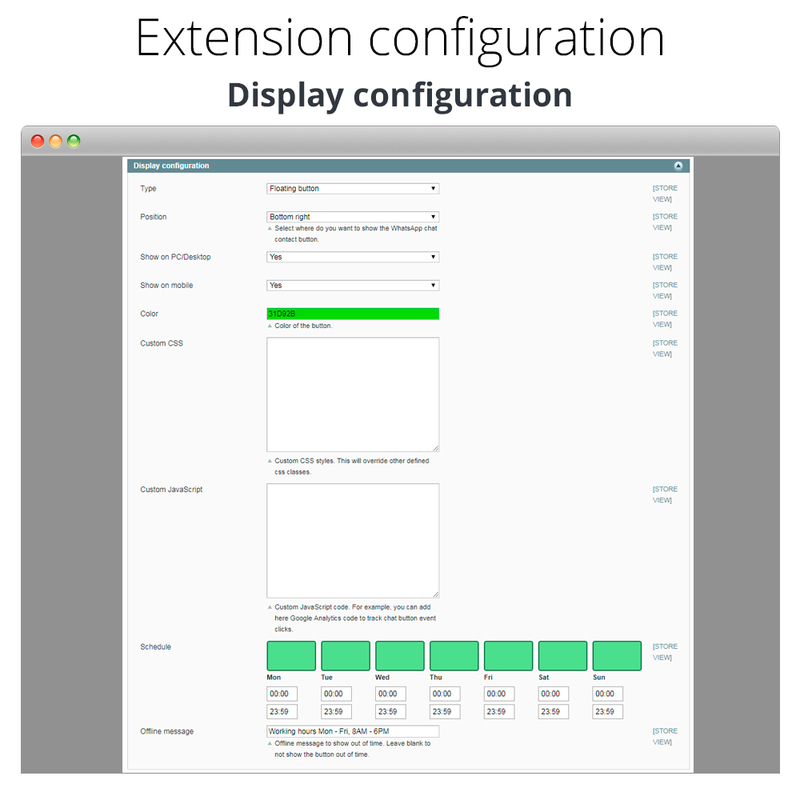 Configure where do you want to display it. 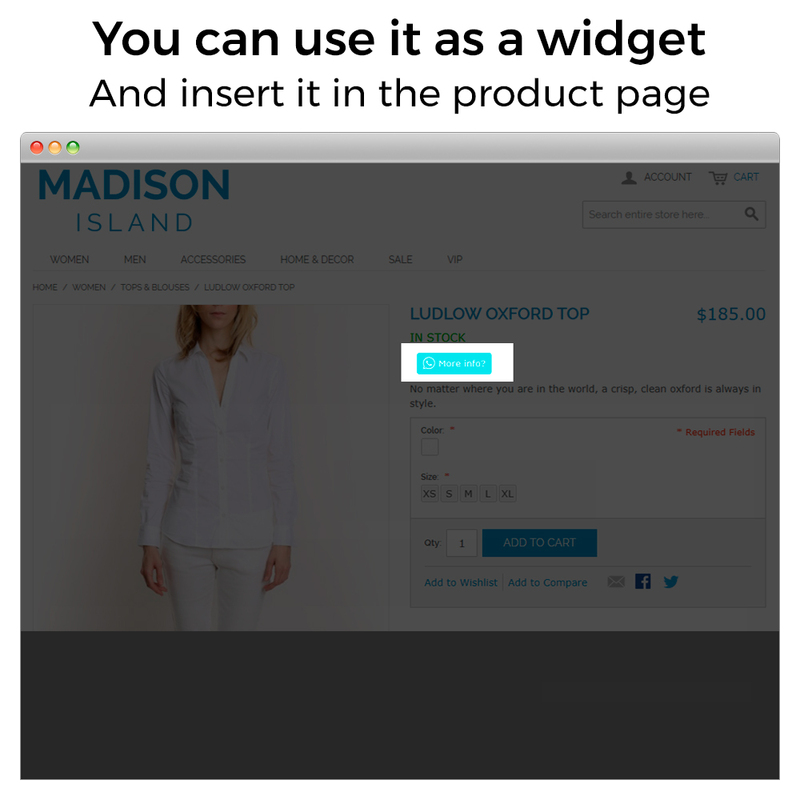 Configure it as a widget. You can use it as a widget and define more than 1 WhatsApp buttons to show them in a different places. You can define a different phone number for each button. For example: you can define a number for after sales support, another number for questions about your catalogue and show it only at product page, another number for checkout process support and show it only at checkout page, etc. You can schedule it to show when you need! And define an offline message if you want. It opens WhatsApp app automatically, both PC and mobile!! Your customer don’t need to add your mobile phone number to the mobile address book. The chat will be opened automatically with your phone number, even in desktop and in mobile. 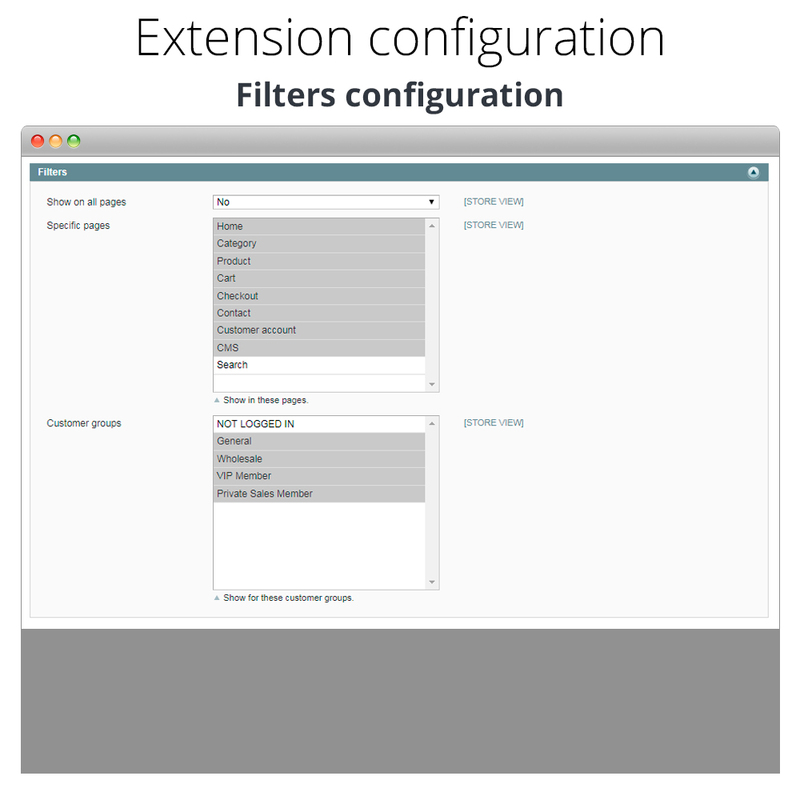 You can filter by customer group and/or type of page displayed. You can configure the button to open a WhatsApp group. Localize all texts in your installed languages. You can define different mobile phone number by language. Share option. 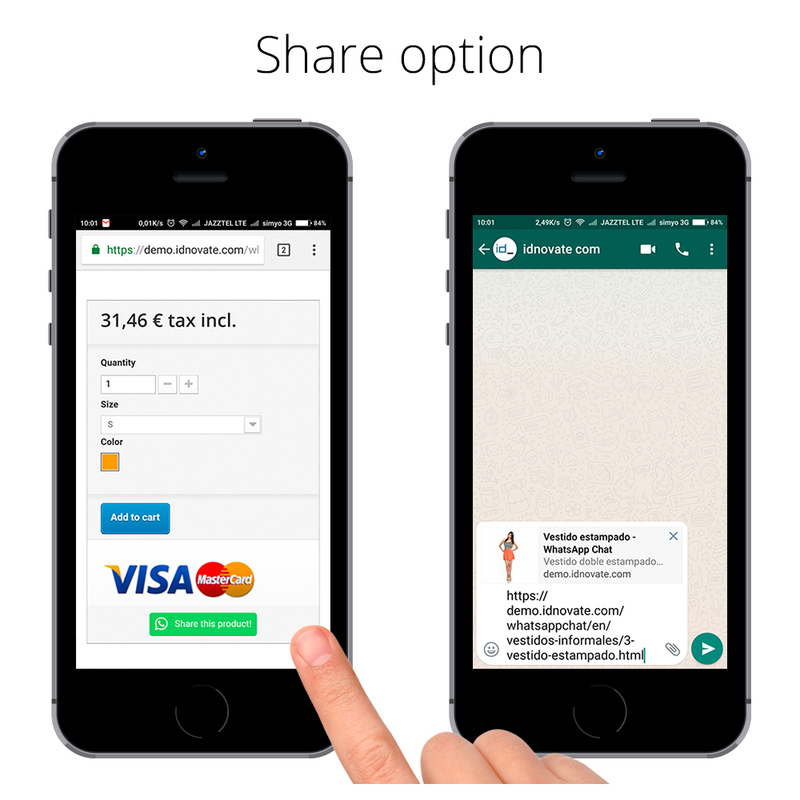 You can configure a WhatsApp button to share the page where your customer is placed. 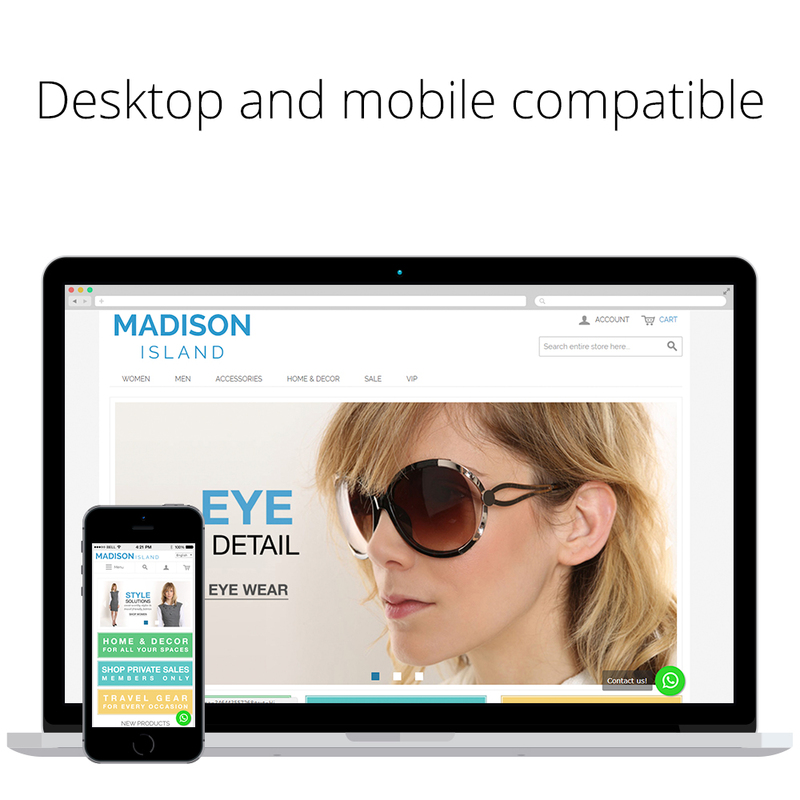 Show by device. You can show the WhatsApp button only on mobile, only on desktop, and a combination of these. Answer chats from WhatsApp web and from your mobile device. Multilanguage. 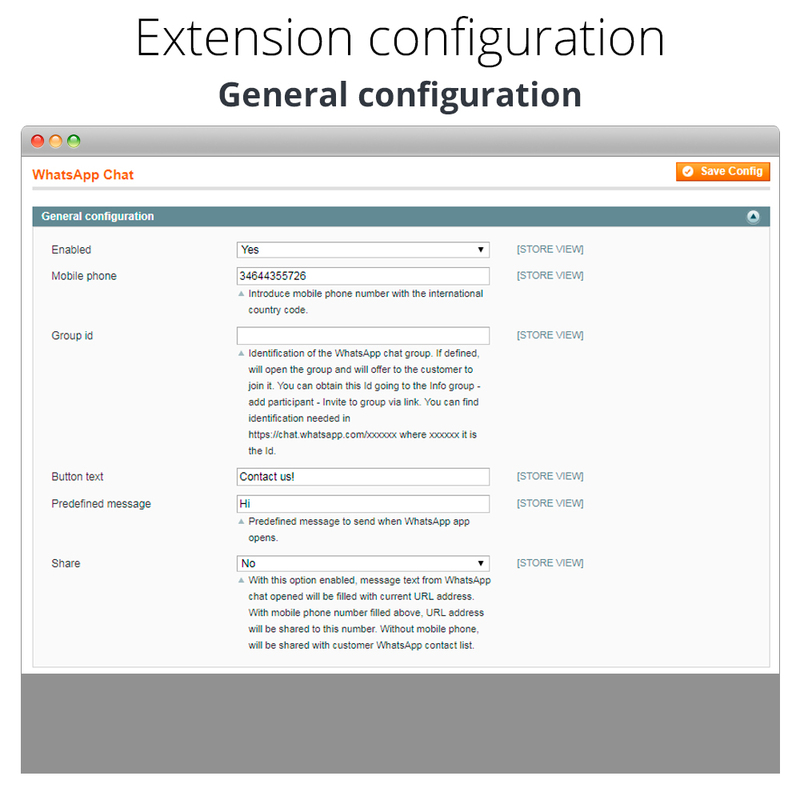 The chat interface is displayed in the customer language. ✔ Do you have any questions or concerns? Send us a message! We will happily answer any questions.